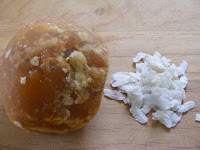 Tambli/tambuli is a curd based dish typically made in Udupi/ Mangalore kitchens. It can be made with different green leafy vegetables (palak, curry leaves, etc) or even garlic. Since rice is the predominant grain in the traditional south Indian homes, this is served as a side to rice along with vegetables. 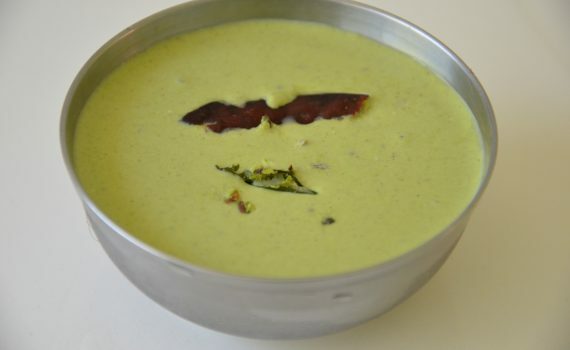 This recipe is with malabar spinach which is commonly grown in most Mangalorean houses. Malabar spinach is rich in soluble fibre, Vitamins A & C, iron, calcium, magnesium and potassium.This tambli made with Basale soppu/Malabar spinach is also believed to cure mouth ulcers. Heat some oil in a frying pan and add the cumin seeds and green chili. When the cumin starts sizzling add the Malabar spinach leaves and saute till they are wilted. Keep aside to cool. Once cool, grind to a paste along with the coconut and just enough water to make a paste in a blender/mixie. Transfer the paste to a bowl and add the yogurt and mix well. The consistency of the tambli should be thinner than chutney. So add enough water if it is too thick. Heat a little oil in a tadka pan, add the mustard seeds , urad dal and when it starts to pop add the dry red chili and curry leaves. Add this to the tambli and serve along with hot rice and vegetables. Do you throw out the Beetroot leaves? STOP!!! Don’t just cut off the green leafy tops and toss them away! 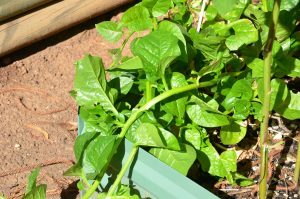 The leaves and the stems are edible, and make a great substitute for any green such as palak, swiss chard, collard greens, bok choy. 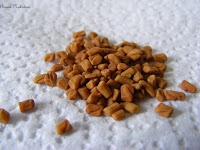 They can be added to dals/sambars, soups or added to sabzis. 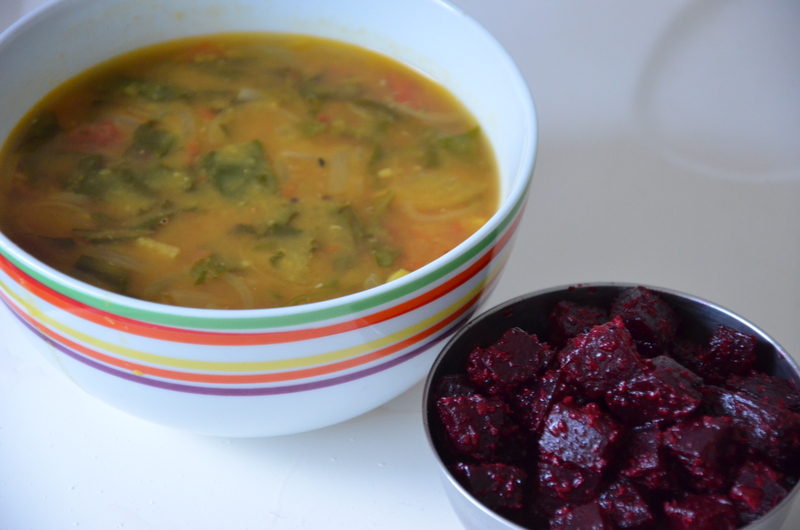 Here is a simple dal with the beetroot leaves. (Note:The stems (like the beetroot) have a natural pink dye that can turn the dal slightly pink). 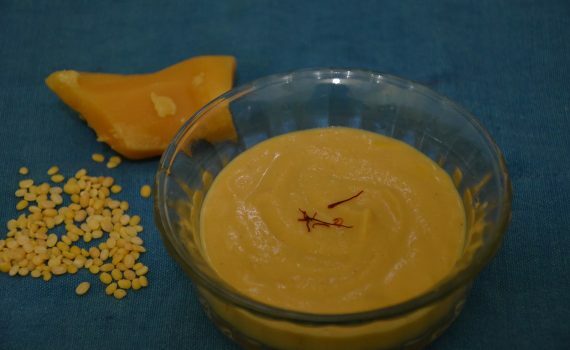 To a pressure cooker add the washed toor dal, add 2.5 cups water, and 1/4 teaspoon turmeric powder. Cook at high flame for 3 whistles. Let the pressure of the cooker come off on it’s own. Then mash well. Heat oil in a pan on medium heat. Once the oil is hot, add cumin seeds and mustard seeds. Wait till cumin seeds crackle and mustard seeds start popping out. Once the seeds start popping, add chopped garlic and green chili. Saute for a minute or till garlic just starts turning golden brown in color. Add chopped tomatoes, salt and cook for 5 minutes. Add chopped beetroot leaves and mix. Cook for 2-3 minutes or till the leaves are wilted. Add the mashed dal to the pan, a cup of water , the red chili powder and coriander powder (both optional, but I like to have the extra spice)and let it all come to a boil. Lower the heat, add more water if needed and let the dal simmer for 5 minutes. Check the salt and adjust to taste. Sprinkle garam on top and remove pan from heat. Squeeze in some fresh lemon juice and serve beetroot leaves dal with any hot rotis or steamed rice. 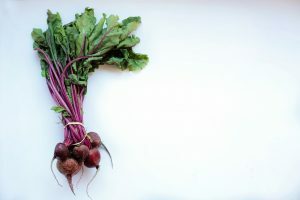 Though beetroot is loaded with vitamins and minerals, including B vitamins, iron, magnesium and potassium, it isn’t a popular vegetable and somehow doesn’t get onto the diet more often. The nutrients they contain fight inflammation, lower your blood pressure, and could also fight cancers. Since it is naturally sweet, it can be used as a salad by those who don’t like sweet vegetable sabzi. Here is a simple Mangalorean style stir-fry which tastes great with chapathis and even with rice and dal. My kids love eating it with curd rice as they love to see the colour of the curd rice change from white to pink when they mix the beetroot with it. 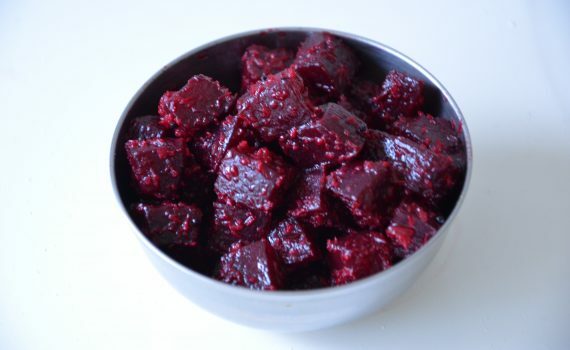 Do note that beetroot has a naturally occurring dye that can colour your hands/cutting boards while cutting. It will also cause you to have pink stools and urine after consuming it, so don’t be alarmed. Wash and peel the beetroot. Then chop it into small cubes. Heat oil in a kadai and add mustard seeds. Once it starts popping, green chilli, curry leaves and urad dal. Fry for a minute. Add in the chopped beetroot and mix well. Add the salt and water, sambhar powder(for a variation, though not added to regular upkari), close and cook for 15-20 minutes on a medium flame. Once cooked, add grated coconut as garnish and serve with rice+dal or curd rice or even chapathis. Beetroot Juice is a great drink for athletes ,sports persons and for those who exercise regularly as beetroot is loaded with nitrates . Nitrates when consumed are converted to nitric oxide which helps in opening the blood vessels and allows more blood and thereby oxygen to be delivered to the muscles. 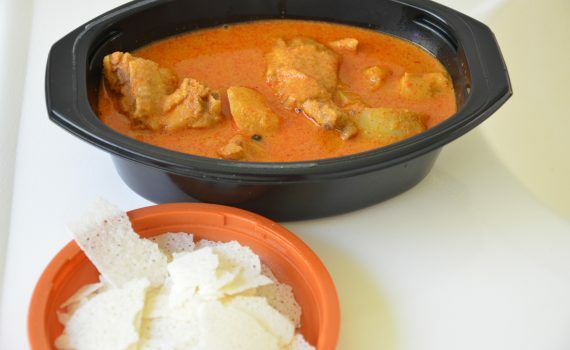 This is one of the famous Mangalorean dishes (the other’s being Neer Dosa, Kori Rotti and chicken curry) . As the name suggests it’s a dry dish with loads and loads of coconut. Add the marinated chicken, salt and saute for a few minutes. Lower the heat and cover and cook till the chicken is done (add very little water if needed as the chicken will leave water). Then open, add the tamarind paste and cook uncovered till you get a thickish gravy. Add the sauteed coconut and mix well such that the coconut coats every piece of the chicken. Basale soppu or Malabar /Ceylon Spinach is also called as mayalu in Marathi and poi in Gujrathi . It’s very common to see houses in Mangalore growing it and Basale ghassi or Basale koddel is a specialty of the region. Malabar spinach is rich in vitamins A, C, iron and calcium, and is also good source of soluble fiber. The addition of green moong not only increases the protein conent of the dish but also adds a lot of flavour to it. 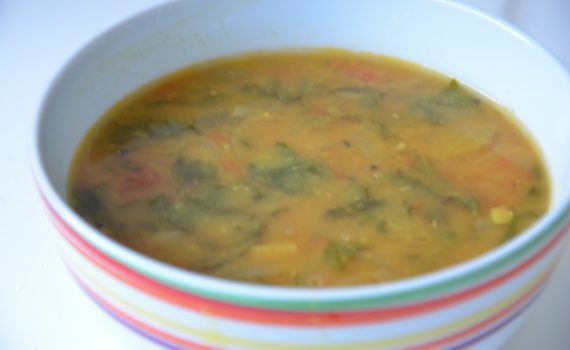 I was lucky to find the seeds locally and have been making this curry with homegrown organic basala. This is how Basala and payar (whole moong) curry is made in my family. Pressure cook the moong and the basale (leaves and stem) without adding salt for one whistle. Grind the ingredients mentioned under grind together to a smooth paste and keep aside. Open the pressure cooker (if it’s too small, then transfer contents to a deep vessel), add the ground masala, little water, cut tomatoes, tamarind paste and salt. Allow the curry to boil vigorously for five minutes, check for salt, tamarind add more if required. Adjust the consistency if needed before switching off. 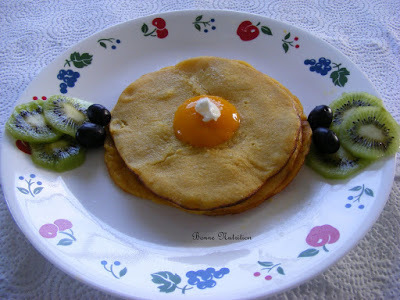 It is traditionally served with rice, but tastes great with chapathis too. Note: You can add seasoning/tadka if you want, but it isn’t added in our family recipe. 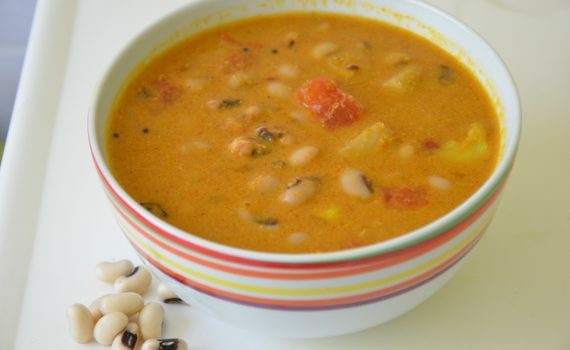 Black Eyed Peas are high in Vit A, fibre, potassium and folate and is known to help in relieving constipation, keeping sugar levels in check and in lowering cholesterol levels. 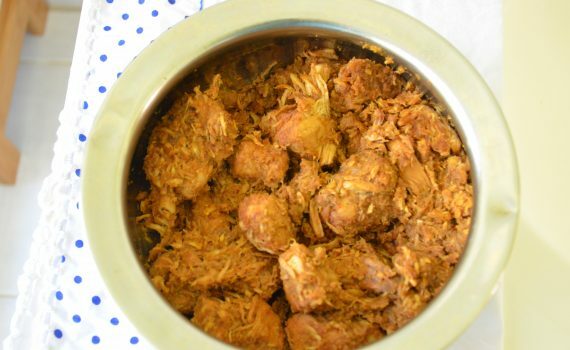 This is a Mangalorean recipe and is served with rice. 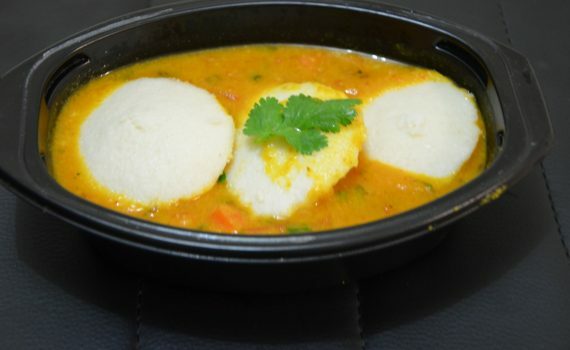 It can be made with Indian yam /potato or even with Mangalore sautekai (mangalore cucumber). Pressure cook the black eyed beans ( the beans must be tender, but still firm and hold shape). Meanwhile grind the coconut, red chili powder, coriander powder and jeera powder with a little water till you get a fine paste. Heat a kadai, add a tsp of oil, add the potatoes/yam (optional) and fry for 2-3 minutes.add the tomatoes and saute. Add some water and close and cook the potato/yam and tomato . Add cooked black-eyed beans and salt. Add the ground paste to the cooking beans. Adjust the consistency of the gravy by adding water. For seasoning, heat oil in a pan, add mustard seeds,urad and channa dal. When the mustard starts to pop, add the dry red chillies, curry leaves, hing and crushed garlic. Fry for a minute, then add this to the gravy. Mix and close the gravy and let it sit to infuse the flavours of the seasoning. Garnish with chopped coriander leaves and serve with rice or even phulkas. 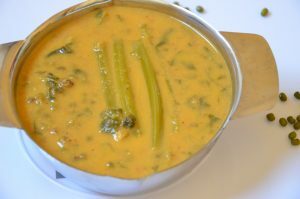 Another favorite from the family Mangalorean recipe box-the moong dal payasa is made for special occasions and festival feasts. Since I’ve been on a mission to try out (and publish on this blog) traditional Mangalorean recipes, this was undoubtedly the first thing that came to my mind as the sweet dish for this years Ganesh Chaturthi feast at home. This is a protein- packed dessert and definitely a better sweet option for festivals than high- carb sweets like jelabis. Portion sizes should still be controlled. 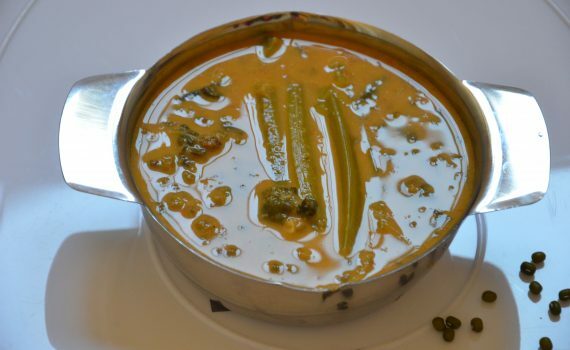 Roast the moong dal in a teaspoon of ghee till you get a pleasant aroma (do not let it brown). Add the milk and the water and bring it to a boil. Then simmer till the moong dal is well cooked, stirring occasionally. Once the dal is cooked add the jaggery, the saffron milk/ cardamom powder. Add the coconut milk and stir for a minute. Switch off. Serve moong dal payasa/kheer hot or a little warm garnished with the fried cahews, raisins and the remaining ghee.